You may recall my recent visit to Daylesford Organic Farm in Gloucestershire, which was heavenly! While I was there, I of course did a little shopping, picking up cheese, foodstuffs and even some beautiful birthday cards for my family made by local artists. One of my finds has turned out to be a new favorite in my home... The Daylesford Botanical Lavender Candle is quite frankly amazing and you don't have to go to the farm to get one, although I'd highly recommend a visit anytime you get the chance. Crisp, clean and beautifully presented in a rustic little jar, the Daylesford Lavender Candle comes in multiple sizes and it's white, so it won't color clash with your home decor in the slightest. The fragrance is so comforting and slightly spicier than the almost-too-sweet lavender candles that seem to be flooding the market. All Daylesford candles use natural cotton wicks and the glass jar is re-useable. Hand poured, these natural wax candles are free from paraffins and GM-derived waxes. Slow-burning, you can expect to get 22 hours of deliciously scented burn time out of a medium candle from Daylesford Farm and I think you'll enjoy every minute! Perfect as a treat to yourself or as a gift, these beauties come in a wide variety of fragrances, but I found the lavender was my favorite! I love to burn mine any old time, but it's particularly lovely in the evening when it's calming aroma soothes, relaxes and encourages a good night's sleep. 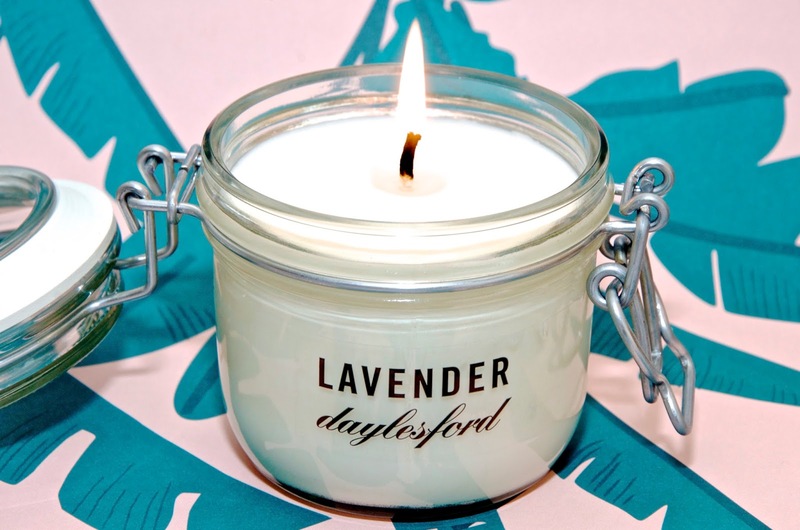 The Daylesford Farm Botanical Lavender Candle is £23. For more information, other sizes or to buy, visit www.daylesford.com. If you're interested in visiting Daylesford Organic Farm yourself, click here to read about my experience.